I’ve been listening to John Williams’ soundtrack for the old Superman film a lot, ever since I wrote this post about a mash-up video for Kal-El’s appearance on Supergirl season two. But I’ve been listening to it very differently. 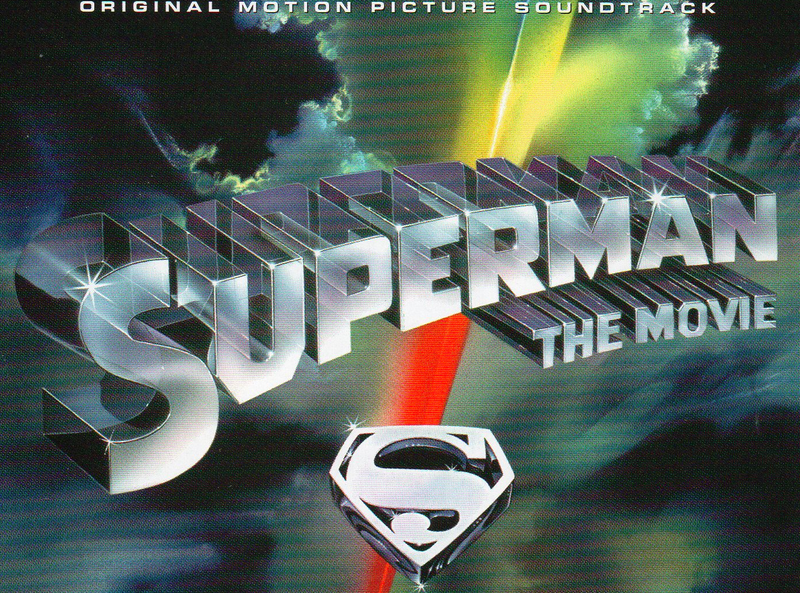 I was six or seven the first time I saw the 1978 Superman movie and, up until very recently, my response to the film’s music has been almost entirely emotional. The effect that the 1978 Williams soundtrack has on me is so strong that I gave Superman Returns a free pass the first time I saw it. It took a whole other viewing for me to get angry at Bryan Singer’s empty homage to Richard Donner’s Super-movies. To this day, my reactions to these sounds include wet eyes and memories of holding my tattered Superman Mego action figure as kid. Any time those horns fire up, I remember the exact angle I held my head up in my seat and not really understanding how the Man of Steel’s fantastical fictional nature was made real in front of my eyes. Williams’ sonic backdrop was a big part of why I believed a man could fly and is probably my first major musical memory. But that’s all nostalgia. The more I’ve listened to the soundtrack, the more I’ve appreciated just how it works. It’s worth remembering that the Superman movie came out during a time when superhero comics weren’t widely regarded as cultural artifacts worthy of appreciation or intellectual discussion. Most grown-ups of the day had watched the 1950s Superman TV show as kids. After that the campy Batman series from 12 years prior was probably the most accessible touchstone for most non-nerd folk and you can see some of that tonality in the 1978 Superman. I think William’s score is a triumph because it communicates the myriad ways that Superman is supposed to feel, for both kids and adults. The music accomplishes that by distilling several key emotional prompts that I’ll lay out below. A disclaimer: I like music, have read a lot of music criticism and written a small amount of it. I’m not a musician, like my friend Kirk Hamilton over at Kotaku. This won’t be a breakdown of chord progressions and technical matters. The stately figure that opens the main musical theme for the 1978 Superman movie is reminiscent of royal fanfare, a reminder that, hey, this is the first big superhero we’re talking about. This is cultural royalty. Then the marching rhythm comes in, a steady, repeating foundation, which sends the message that Superman is a hero you can rely on. The bright, brass horn bursts that repeatedly soar upward suggest the idea of flight, and the sprightly strings-and-woodwinds combos stop the whole thing from feeling too self-serious. “Chasing Rockets” links themes from multiple tracks to create an insistent build to drama. Parts of the main motif, “Love Theme” and the cute ‘rescue a kitten from a tree’ horn figure from “Super Rescues” all get swirled together to great effect. The taut back-and-forth of the strings underneath the track changes the way you hear everything, making it feel like the entire emotional sweep of the experience is in the balance. The title of this track is “The March of the Villains,” but, to me, this will always be Otis’ music. The elongated notes of the melody, loopy woodwind and rotund brass components bring to mind an exaggerated strut, a supervillain bloviating about his genius. You laugh at first, hearing the “Mistuh Lut-orr” uttered by Ned Beatty’s goofy henchman in your head if you’ve seen the movie. But, that same riff gets louder and more implacable and suddenly you realize there’s real danger in its singlemindedness. One of the great triumphs of the 1978 Superman movie is how it introduces the mainstream audience to the idea that the Man of Steel might be a lonely superhero. The way that the creamy strings in “Love Theme” approach and retreat suggest the push and pull of Kal-El’s struggle to simultaneously belong to mankind and keep himself apart from it. This track’s central melody returns in “The Flying Sequence/‘Can You Read My Mind?’” at first with a slower initial pace that feels cautious, as if Superman is wondering just how much he should tell Lois about his true nature. The flying music feels safe, fun, otherworldly, and emotionally intimate. Superman may not be able to tell her everything about who he is but he can show her a little bit of what it’s like to be him. “Planet Krypton” does a great job of cueing up the morbid backstory of Superman’s origin. It starts off dark and ominous, like the void of space, then a brass motif announces the existence of a great civilization. Elements of that shining-city motif struggle to survive amid a turbulent intrigue. Williams’ soundtrack shares some notional DNA with its predecessors. There’s a heavy emphasis on horns, as in the Fleischer Bros. cartoon from the 1940s and the theme from the 1950s Adventures of Superman TV show. It feels like it’s reclaiming the character’s history and teasing out understandings of Superman that aren’t given much weight in the movie. The march structure harkens back to the WWII iteration of Superman, who punched Axis powers into submission all by himself. And “Super Rescues” feels tonally tethered to the safer but still altruistic efforts from the 1950s TV series. That sense of lineage is one of the magical things about the 1978 soundtrack, fitting for a movie that treated Superman as much more than an embarrassing relic from childhoods past.